EghtesadOnline: Latest figures from transactions conducted in the Central Bank of Iran's online system for foreign currency deals as well as those handled by exchange shops show that both payment orders and cash deals have increased since the government revised its policies about three weeks ago. From Aug. 6 when President Hassan Rouhani's administration signaled an about-face in its foreign currency policies until Aug. 23, a total of €508 million worth of foreign currencies were purchased in Sana, the central bank's online system for registering deals finalized by certified exchange bureaux. 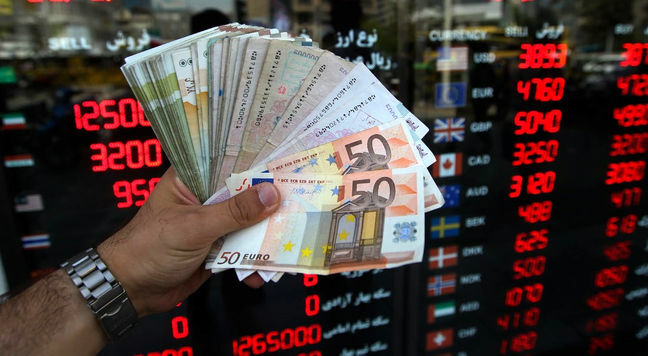 A total of €437 million worth of foreign currencies were also sold in Sana during this period, with cash deals accounting for only 3.11% of all deals, IRNA reported. In the Nima system that records all deals conducted between importers and exporters in the Secondary Forex Market and functions as a platform for selling export revenues and meeting import requirements, €566 million worth of foreign currencies were sold in the aforesaid period. This is while a total of €377 million worth of foreign currencies were registered in purchase orders, Financial Tribune reported. Last week, Minister of Industries, Mining and Trade Mohammad Shariatmadari had said that the new foreign exchange policies have meaningfully curbed unnecessary demand for cheap currency. "About 800 to 900 import orders were recorded daily before the new policies, with total registration order applications amounting to an astonishing $250 billion," he added. Under the new CBI Governor Abdolnasser Hemmati, the regulator enforced new policies from Aug. 6 based on minimizing government intervention. The new policies maintain the multi-tiered foreign exchange rate regime to keep prices of essential goods stable until at least the end of the fiscal year in March 2019, but they allow all other traders to conduct their deals at negotiated rates in the Secondary Forex Market.